According to legend, in ancient times Agamemnon led the Greeks into war with the city of Troy to recapture the beautiful Helen of Troy, wife of King Menelaus of Sparta. The Iliad, the heroic Greek epic called by I. A. Richards `the most influential poem in the Western tradition,` describes what happens toward the end of the Trojan War, when a quarrel between Agamemnon and the Greek hero Achilles sets in motion tragic events that bring the war to its conclusion. This edition of the Iliad, abridged and translated by the noted critic and translator I. A. Richards, has made this classic work of literature available to modern readers since 1958 in a remarkably readable version. Mr. Richards has cut many passages that are not essential to the storyline and has omitted books 2, 10, 13, and 17. Removing the stylized decoration that can hinder a nonspecialist reader, he makes the language of the poem clearly accessible, and his narrative condensation allows the action to stand out boldly. According to legend, in ancient times Agamemnon led the Greeks into war with the city of Troy to recapture the beautiful Helen of Troy, wife of King Menelaus of Sparta. The Iliad, the heroic Greek epic called by I. A. Richards `the most influential poem in the Western tradition,` describes what happens toward the end of the Trojan War, when a quarrel between Agamemnon and the Greek hero Achilles sets in motion tragic events that bring the war to its conclusion. 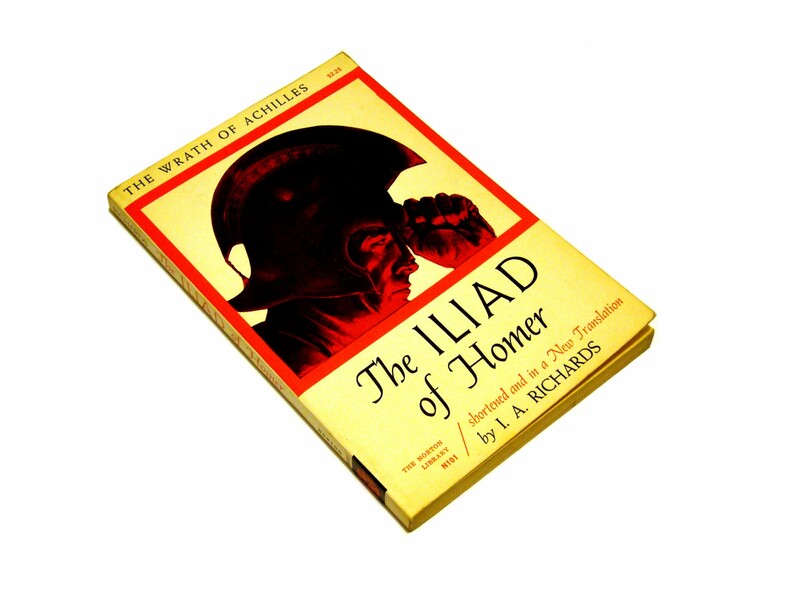 This edition of the Iliad, abridged and translated by the noted critic and translator I. A. Richards, has made this classic work of literature available to modern readers since 1958 in a remarkably readable version. Mr. Richards has cut many passages that are not essential to the storyline and has omitted books 2, 10, 13, and 17. Removing the stylized decoration that can hinder a nonspecialist reader, he makes the language of the poem clearly accessible, and his narrative condensation allows the action to stand out boldly.